Enter another world and experience the magic of Swedish Lapland. During this week long adventure, you have the opportunity to get to know the cold, far North of Sweden and its warm-hearted inhabitants. Enjoy adrenaline fueled activities in the snow and relax by the fire with a hot lingonberry juice. Based in two unique accommodations, the options for adventuring extends beyond the activities scheduled. At Brandon Lodge, set on an island off the coast of Swedish Lapland, stay in a cozy cabin and experience fine dining at the onsite restaurant, renown for its used of local ingredients. During your exploration of the archipelago by hovercraft and snowmobile, take a stroll on the pack ice or spot eagles or even a seal. At night you are perfectly positioned to search for the northern lights and with luck they will perform their dance during your stay. Moving south to the Treehotel, near the Lule river, stay two nights in a treeroom where the beauty of winter can be observed from your cosy retreat. 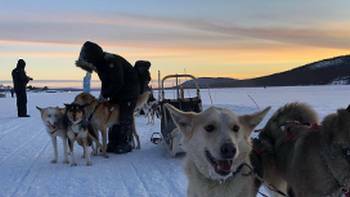 A dog sledding adventure caps off your Lapland experience, as you explore the winter terrain and appreciate that the real stars are the huskys whose obvious love of the outdoors is infectious. This trip is graded introductory and is suitable for people with good mobility and a reasonable level of fitness to comfortably complete all activities. Upon arrival you will be met and transferred to Brändön Lodge which is located on an island off the coast of Swedish Lapland. The lodge overlooks the frozen sea and the numerous islets and skerries of the Luleå archipelago. Your accommodation for the next few nights will be in the cozy cabins which Brändön Lodge provides. The lodge has 15 cabins embedded in a winter camp atmosphere, offering you a warm home far away from home. The lodge boasts a high-class restaurant which is renowned for its fine dining using local ingredients. Aside from the included activities there are numerous optional activities you can book including Evening Northern Lights tours, Aurora Hideaway dinner, ice-fishing, Snowshoeing and learning Nordic Winter skills. Enjoy a Scandinavian breakfast at the lodge. This morning you will explore Luleå’s frozen archipelago by hovercraft for about 2 hours. If you are courageous enough you are welcome to take a stroll on the pack ice of the archipelago and if you are lucky you might spot some sea eagles or a seal on your stroll. The rest of the day and evening is yours to enjoy at leisure. Breakfast at the hotel and afterwards you will get ready for your two-hour snowmobile adventure. Experience Swedish Lapland in a completely different way. The exhilarating speed and freedom of snowmobiling will make this an unforgettable adventure. Breakfast will be served at the lodge, afterwards a transfer awaits to take you to the railway station in Luleå. Board your train to Boden (duration approximately 30 minutes). You will be met on arrival in Boden and transferred to the fabulous Treehotel. The Treehotel is located in Harads, near the Lule river, about 100 kilometers from Luleå airport. The village has a population of about 600 and features a restaurant, shop and guest house. When you arrive at the Treehotel, you check in at Britta’s Pensionat. Then it’s just a short stroll through the beautiful nature to your tree room. Breakfast at Britta’s Pensionat. After breakfast you have your morning at leisure to discover the peaceful and tranquil scenery surrounding the Treehotel. In the afternoon get ready for your husky safari. Experience nature the traditional Lappish way and enjoy a fun adventure with these amazing animals. Return to the Treehoteland and enjoy the rest of the evening at leisure. 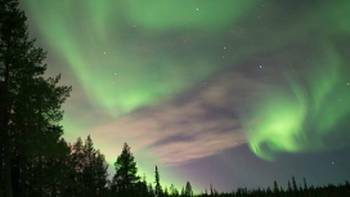 If you are lucky enough you might see the Northern Lights dancing right above you, completing the Lappish fairytale! Breakfast is served at Britta’s Pensionat. Move out of the Treeroom and settle in at the pension. You will find the charms and hospitality of this home away from home relaxing. There are many optional activities to choose from today including Yoga on ice with sauna, meditation and snow bath, moose safari, fat bike through the snow, a visit to the Forest Sami Eriksson family, horse pulled skiing and so much more. After breakfast, transfer from the Treehotel to Luleå airport for your flight. items of a personal nature eg. laundry, phone calls etc.